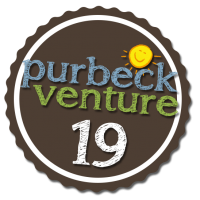 Purbeck Venture will run from Monday 5th August – Tuesday 13th August 2019. 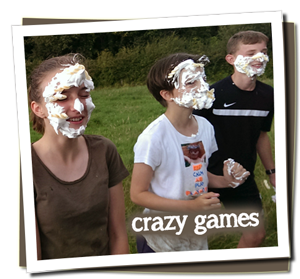 It caters for young people aged 11-16 inclusive. Every camp has a theme and this is reflected in the evening events. 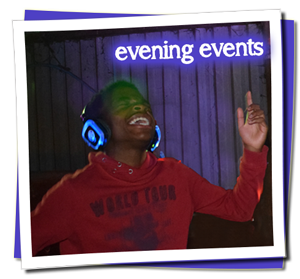 We pride ourselves in creating memorable nights in - and out with a party atmosphere; guaranteed to get you grinning whether it is showcasing talent, getting involved in gameshows, dancing the night away or just watching the leaders make fools of themselves. Few residential holidays are entirely outdoors, but we see this as a strength of Purbeck Venture with such great surroundings although we still manage some home comforts and fantastic food. We really do think this is one of the best adventures you can have with your summer. Where else could you go that would leave you refreshed and returning home beaming from ear to ear? 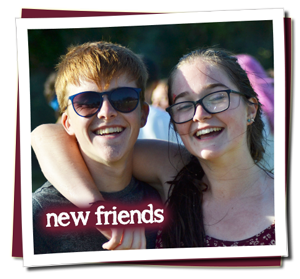 Matt & Catherine have led youth-work at their home church for over 40 combined years, bring a wealth of experience with young people and are dedicated to serving at this site. 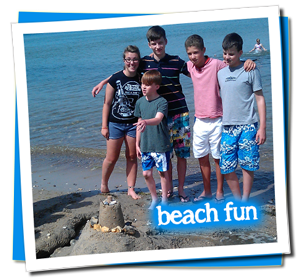 Having attended Studland camps as campers themselves and met at Dorset Venture, they were very keen to see many more young people benefit from a fantastic holiday and therefore took on leadership of Purbeck Venture in 2009. With two of their children of camp age, it has become a family way of life for the summer. The other one? Well, he mucks in, in his own special way. 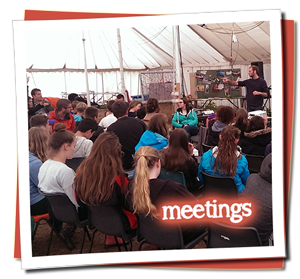 Each year we put together an enthusiastic and dedicated team of volunteers to ensure the camp is the best it can be. These include catering staff, tent leaders, organisers, meeting leaders, musicians and other support staff. Every member of the team undergoes a DBS (disclosure and barring, criminal record) check and supplies references. This is a lovely ‘traditional’ style camp. 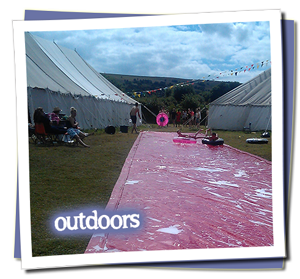 We appreciate the outdoor focus and down to earth activities – craft, wide games, walks, swimming. The excursion day is also a highlight with the more high tech side of things. The christian content is very important and well organised/ led. It is a great blend of social skills and faith building for an age group that needs to find their identity in Christ. Thanks so much for your commitment. The camp is an amazing resource. It is brilliant fun and packed with activity, but allows time for friendship and learning too. The atmosphere is relaxed and accepting and I have great confidence in the leadership. This holiday has become a key part of my girls’ summer and refreshes them physically spiritually and emotionally. He is already talking about next year! Just can not express our thanks enough for the wonderful time our daughter had with you and the team at Studland. The whole team clearly put so much energy, soul and imagination into every part of the experience. It just sounded the most creative and un-institutionalised of camps. Keep doing exactly what you are doing – please! 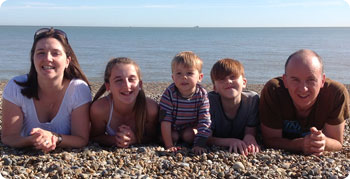 We sent our oldest daughter at 11 (tentatively at first as she didn’t know any other kids there) as we thought that it would be a good springboard into the next phase of her life, enabling her make new friends from different parts of the country and to grow in her faith. She came back having had ‘the best’ time, made some amazing friends and made a commitment to follow Jesus. Now 16, she has been back every year since, with her younger brother and sister who each started going at 11. They love the camping, crazy games, camp traditions, surprise activities, water-sports, excursion, music and the teaching. Led by a wonderful team of volunteers headed up by Matt and Catherine Rowe who act as surrogate parents and are very pastoral, wise, gifted and generally fab! They have had many years of experience leading at Purbeck. Purbeck Venture is firmly fixed on our calendar as the holiday not to be missed! Is it no wonder that the pull of Purbeck draws many back year after year! I would thoroughly recommend this camp, it really does tick all the right boxes! It has helped my faith grow and I feel more confident that God loves me no matter what. Thank you for the most awesome holiday EVER.  The meetings were practical and interesting, relevant and applicable to modern day life. The leaders are just amazing – they work so hard to make us feel safe and cared-for. every year I grow in confidence and faith because of camp, so thank you!